Difference between revisions of "Deuces"
This is a list of succinct tasks that are expected to take most people familiar with the prerequisites less than two hours to complete. It's a great starting point for anyone interested in contributing to BRL-CAD. The tasks are all roughly the same complexity with no prior BRL-CAD experience expected. A description is provided along with a list of references and files you'll probably need to edit. Can we make it any easier? Contact us (via IRC or brlcad-devel mailing list) if you have questions, comments, or ideas of your own you'd like to suggest. Download our BRL-CAD Virtual Machine (VM) disk image. Import and start the VM, log in (the password is "Brlcad!" without the quotes). Run "svn up brlcad.svn" and get started! We break down all tasks into one of five categories. Don't be worried if the tasks all sound confusing to you. Just pick one and start reading the references we've provided. Join IRC or our mailing list and ask questions. See the When You're Done section above for details on submitting your changes. BRL-CAD provides functions for its geometric primitives that define a bounding box - a box that completely encloses the volume described by the primitive. Ideally, these boxes are as small as possible while still enclosing the primitive. Currently the routine for BoTs is incorrect. You can use stl-g, obj-g, or any of our other *-g converters to import BoT geometry for testing. This task involves studying the current code for the function rt_bot_bbox() and determining what is causing the current inaccuracies (the mged 'bb' command is a good way to visualize primitive bounding boxes). Make changes to produce a more optimal bounding box. Reimplement it from scratch if you like. The raytracing prep code in rt_bot_prep does prepare a better bounding box, so that is one place to check. BRL-CAD has an interactive geometry editor called MGED. It's often the starting point for beginners and allows creation and manipulation of models using commands. When mged is run, it creates 2 windows: a text-console command window and an interactive graphics window. When the user closes one of those windows, there is a bug. Closing the graphics window closes the command window. This task involves fixing this behavior so that ONLY closing both windows terminates the process properly and that closing either window does not take the other along with it. This task involves adding some mechanism, perhaps a simple key binding, to the graphics window so that you can get the command window back on-demand. BRL-CAD provides more than two dozen types of geometry "primitives" such as ellipsoids, boxes, and cones. Every primitive is described by a collection of callback functions, for example rt_ell_bbox() returns the bounding box dimensions for an ellipsoid. Wikipedia, Wolfram Mathworld, and various other math sites (and research papers) around the web include the equations for most of our basic primitives while others are a little more tricky to compute. This task involves writing a new callback function that takes an rt_db_internal object and calculates the surface area (units are mm^2). There are numerous examples in our code where we compute surface area for other primitives. The primitives that do not already have a centroid callback are itemized in following. BRL-CAD provides more than two dozen types of geometry "primitives" such as ellipsoids, boxes, and cones. Every primitive is described by a collection of callback functions, for example rt_ell_bbox() returns the bounding box dimensions for an ellipsoid. Wikipedia, Wolfram Mathworld, and various other math sites (and research papers) around the web include the equations for most of our basic primitives while others are a little more difficult to compute. This task involves writing a new callback function that takes an rt_db_internal object and calculates the volume (units are mm^3). There are numerous examples in our code where we compute volume for other primitives. The primitives that do not already have a volume callback are itemized in following. This task involves writing a new callback function that takes an rt_db_internal object and calculates its centroid (as a point_t 3D point). There are numerous examples in our code where we compute centroids for other primtiives. The primitives that do not already have a centroid callback are itemized in following. BRL-CAD provides more than two dozen types of geometry "primitives" such as ellipsoids, boxes, and cones. Every primitive is described by a collection of callback functions, for example rt_ell_bbox() returns the bounding box dimensions for an ellipsoid. One of those functions describes a UV mapping of the object's surface, which is used for things like texture and bump mapping. An example of this is rt_ell_uv() in the src/librt/primitives/ell/ell.c source file for an ellipsoid. Several of our more complex primitive types (such as BoT, NMG, and BREP/NURBS) do not presently implement a UV-mapping function leading to unexpected runtime behavior. This task involves implementing a UV-mapping callback for any of the primitives that do not already have a functional UV-callback defined. Note that this is an advanced task that might take you more than a couple hours if you don't have solid coding skills, but it's ultimately just a few lines of code. See other primitives that already implement a UV-mapping callback for reference. This task involves writing basic documentation for JUST ONE of those commands in the Docbook XML format. The command documentation should provide a one-sentence description, a detailed paragraph description (200+ words), explanation of all available command-line options, and one or more examples on how to use the command. BRL-CAD's primary geometry editor (MGED) provides hundreds of commands. Two of those commands are the savewview and loadview commands that write current view settings out to a text file and read them back in. The saveview command provides -e -i -l and -o options, but they are not documented. This task involves writing documentation for those missing options. Consult the source code to see what they do and add the corresponding sections into our Docbook XML doc just like we do in our other documentation files. Test compilation to make sure your XML syntax is correct. There is already a command quick reference for BRL-CAD's MGED geometry editing tool, but there is not a similar document for BRL-CAD's 400+ command-line commands. BRL-CAD uses Doxygen for most API documentation but the comment blocks are not optimally set up for Doxygen output. This task involves cleaning up the Doxygen comments in the library so that useful reports and API documentation automatically generated (correctly, completely, and cleanly). Verify/fix any Doxygen syntax. Verify/fix groups so that functions are organized neatly and all contained within a group. Provide patches that give clean (PDF) output from Doxygen. There are approximately 300 documented API function calls in LIBBU. There are approximately 100 documented API function calls in LIBWDB. There are approximately 1000 documented API function calls in LIBRT. BRL-CAD's MGED geometry editor provides hundreds of commands. One of those commands for manipulating and visualizing geometry is the "brep" command. This task involves writing a manual page for that command in the Docbook XML format. There are lots of examples to follow. Running "make" in a build directory will compile your documentation into html and man page format so you can validate the syntax and formatting. See Compiling for help. BRL-CAD provides a couple dozen distinct primitives. Each primitive is defined by a set of parameters. Several of the more complex primitives have a wiki page describing them in more detail with an example on how to create them. Note the "facetize" command in mged will convert an existing object into NMG format. The get/put commands should help from there like the sketch tutorial. The majority of BRL-CAD's documentation is defined as DocBook files, from which other formats (HTML, PDF, man page, etc.) can be generated. PDF files present a particular challenge, and have some very specific requirements to achieve "good" formatting. The "role" flag to imageobject provides the opportunity to specify different image formatting options when the output is HTML (role="html") or PDF (role="fo"). The captions should be preserved as above on mediaobjects that have them, but mediaobjects without a caption should also be converted and there is no need to add a caption in such cases. Any patch that makes changes to the DocBook sources should result in a successful "make doc" build test. This won't generate PDF documents, but it will validate the XML files and produce HTML - remember that introducing breakage means the patch won't be accepted. Remember, the tasks are simply to do the above conversion for all images in the file or files, not to introduce PDF specific formatting. Formatting fixes will be needed, but they are very much "case by case" and will take both additional time and a working Apache FOP installation, as well as knowledge of how to enable PDF generation. If all image inclusions have been converted successfully and a student is interested in actually fixing the formatting, please discuss it with us on IRC or the mailing list. BRL-CAD has a geometry exporter and importer for the International Graphics Exchange Standard (IGES) file format. If you run our g-iges exporter on some geometry, then run iges-g on that same geometry to import it back to BRL-CAD format, the geometry will have permuted vertex lists. Particularly for geometry already in polygonal format, such as our NMG or BoT geometry, this conversion should result in identical geometry but presently does not. This task involves investigating why this occurs, reporting (in detail) why it occurs, and if obvious, making a recommendation on how to fix the problem. We've been working for several years on "code hardening", improving the quality of BRL-CAD's source code through a variety of best practices and code cleanup efforts. This task has you write an article that succinctly summarizes all of our efforts. You'll need to become familiar with our HACKING file as well as read up on our various hardening efforts. You're welcome to ask our devs questions over IRC for more information too. Include at least one picture. Article should be 300-900 words long and be fully proof-read before submitting (check for grammar and spelling mistakes, please). BRL-CAD runs on a number of platforms and distributes releases many times a year. Creating a release for any particular binary platform, like Windows or Mac OS X or Linux, is delegated to a "release maintainer". We currently have maintainers for a number of platforms but do not have one for Windows. Basically, it's a volunteer job, it's a lot of work, but not very hard and very rewarding. There are thousands of binary downloads every month, so lots of people benefit from a maintainer's efforts. This task involves writing a brief solicitation article announcing our interest for a maintainer, describing the responsibilities involved, and telling them how to take up this responsibility. Come talk to us on IRC for more specific details. Everyone loves to see screenshots and animations of software in action. We use both in our marketing and outreach. See some of the examples below that we already have. Create an awesome screenshot and/or animation of our 'isst' tool in action. It's an interactive geometry viewer interface. It should be graphically interesting and give some sense of capability. You should import a visually complex and interesting model with LOTS of polygons and detail. "benchmark" "make test" "make regress" Submit the results. 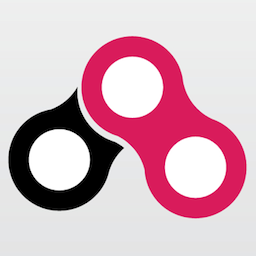 The BRL-CAD Logo depicts two interlocked nodes. Modeling the new Logo in BRL-CAD in CSG (without NURBS, without polygons) requires some careful arrangement, but can provide an attractive three dimensional rendering that we can use for a number of purposes.. The output of this task will be a .g file of BRL-CAD logo and a rendered image. The two segments you model MUST be two or more regions, ideally hinged together (you can have center pins or not, you decide). This is your opportunity as an artist and 3D magician to come up with an interesting yet faithful interpretation. Note that there are other logo modeling tasks and yours must start from scratch and be completely original. If we get a hint that yours was based off of or used measurements from some other model, you will be barred. BRL-CAD implements support for rendering of NURBS representation geometry. If you import a solid 3DM or STEP format model into BRL-CAD, it will import as BREP/NURBS geometry. Opening that geometry in BRL-CAD's MGED editor will tell you what objects are available and our 'rt' tool will raytrace it. When geometry is ray traced, it first goes through a "prep" phase and then it starts shooting rays. Our prep phase is entirely unoptimized so we'd like to know where all the time is presently being spent during prep.. This task involves importing some NURBS geometry into BRL-CAD and ray tracing that geometry with a profiler watching our prep performance. Any profiler will do, including gprof, but a performance monitor like oprofile or the Mac "Instruments" application (or Shark) are preferred. Learning how to use a profiler is beyond the scope of this task, so it make take you considerably longer to provide us with useful information if you've never run a profiler before. Running "tops" within mged will tell you what geometry is available for rendering. Running "rt -o file.png -s32" on the system command line (not inside mged) should minimize the ray overhead or you can specifically isolate the prep phase we care about. Prep is the time between when rt is run where it opens a window until the first pixels are fired and pixels start filling in. This task involves testing compilation with a C++ class with overloaded operators such that vmath macro calls still work as well as a sampling of LIBBN API function calls without major changes to the original code. A perfect example case study would be creating the class then testing whether bn_dist_pt3_pt3() and bn_mat_determinant() compute correctly for values that cannot be exactly represented with floating point arithmetic. Building on the previous GCI task work, take it to the next step. Try setting a vector to 1/3, 1/3, 1/3 and 0.1, 0.1, 0.1 and get proper values to print. Change the V3ARGS() macro if needed. If that all works, try to get bn_dist_pt3_pt3() to work. Report and discuss your progress. BRL-CAD provides limited services for drafting features including the production of 2D CAD drawings (blueprints). This task involves designing a 2D CAD drawing prototype. The prototype MUST capture a set of design requirements and follows industry conventions. If you've never seen a real blueprint drawing before, then this task might be too hard for you. Your result needs to refer to ISO 128 and/or ASME Y14.41 or other standard drawing elements. Basically, identifying a style of drawing that we should support including pointing out the critical elements to be included on each drawing, their location, size, placement, etc. By default, all of BRL-CAD compiles using double-precision floating point arithmetic. We provide a simple typedef, however, that converts almost the entire system over to single-precision floating point. This compilation mode was recently cleaned up and tested, but a bug was found. The problem is reproduced very simply by compiling in single precision mode and running our "rt" ray tracer tool. At this point, rt should crash due to an infinite recursion. A backtrace in the debugger will show lots and lots of calls to rt_shootray() and light_hit(). This task involves investigating and preventing the crash. Provide a patch that fixes the bug. Provide a patch that fixes the bug or tell us which SVN revision introduced the bug. Make sure you can reproduce the bug before claiming this task, which presumes you know how to download/install BRL-CAD from a source distribution. There are more than 300 library functions in our core LIBBU library. As a core library used by nearly every one of BRL-CAD's tools, testing those functions for correct behavior is important. This task involves implementing a new unit test for any of LIBBU's source files that do not already have a unit test defined. The test should run all of the public functions and be hooked into our build system. We have lots of existing unit tests to follow as an example. 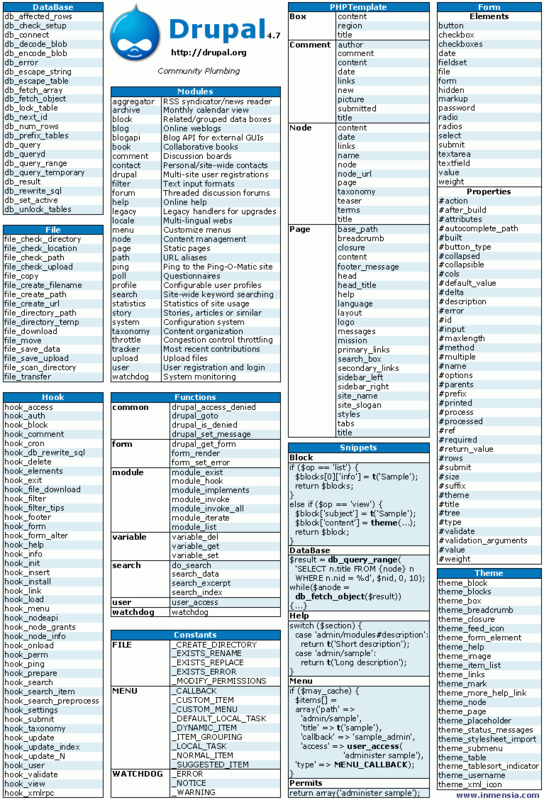 There are more than 300 library functions in our core LIBBN library. As a core library used by nearly every one of BRL-CAD's tools, testing those functions for correct behavior is important. This task involves implementing a new unit test for any of LIBBN's source files that do not already have a unit test defined. The test should run all of the public functions and be hooked into our build system. We have lots of existing unit tests to follow as an example. Archer is our new modeling interface and a soon to merge with our long-standing MGED geometry editor. It undoubtedly has bugs. It's your job to find one, but do so in a manner that is so obvious that one of the other devs will be able to instantly reproduce the bug given your specific instructions. Find a way to make archer crash, become unresponsive, or otherwise behave incorrectly. You will have to explore the tool with minimal documentation. This task involves filing a bug report with verifiable and reproducible steps that clearly demonstrate the bug. It can't be a bug already reported or otherwise documented nor can it be merely behavior you don't like. BRL-CAD presently has approximately 75 open bug reports of which 50 are unassigned. Read the comments and status to see if the bug has been confirmed/reproduced. This task involves going through those reports and REPRODUCE at least 10 of the ones that have not been confirmed. When you can reproduce the issue being reported, you'll comment on the thread to state as much and attach any data you used to reproduce the crash. BRL-CAD's usability is notoriously complex and "expert friendly". MGED and Archer are the main geometry editors, with drastically different user interfaces. This task involves evaluating the features provided by MGED and Archer, then designing a new GUI layout that encompasses their features while improving usability. Rationale for design decisions and layout should be provided. Search for other similar GCI tasks to avoid making a similar design. You can use any tools, but your work must be original. BRL-CAD is a suite of more than 400 processing tools, image tools, geometry converters, and more. There is an existing spreadsheet that characterizes all of the available commands in terms of inputs, outputs, and options, but there is insufficient characterization of BRL-CAD's commands as to how they logically group and work together. This task involves building up a spreadsheet that lists all of our commands, describing a finite set of command categories, and characterizing all commands into those categories while filling in the spreadsheet with details for each command. A spreadsheet template will be provided. BRL-CAD's geometry editing applications, like most graphical applications, have an application menu with a variety of features, capabilities, and options, but with little attention to cohesive design. Review the menus for MGED and Archer. Design a new menu system based on both of them that eliminates confusion, is easier to navigate, and has menu options more logically grouped together. Provide screenshots or detailed text indicating what menu options should be available and what exactly is on each menu. BRL-CAD's website was recently redesigned. The current website uses Drupal and Mediawiki. Our new website will be using Wordpress and Mediawiki. This task involves creating a custom Wordpress theme based on our new website design. BRL-CAD's main website content runs on Drupal. There are a lot of articles, user accounts, and other information contained within this installation of Drupal. This task involves setting up an installation of Wordpress on our production server and migrating the data from Drupal into the Wordpress site. This task requires that you establish an account on one of our servers. There is a setup process involved. Join us on IRC for details.